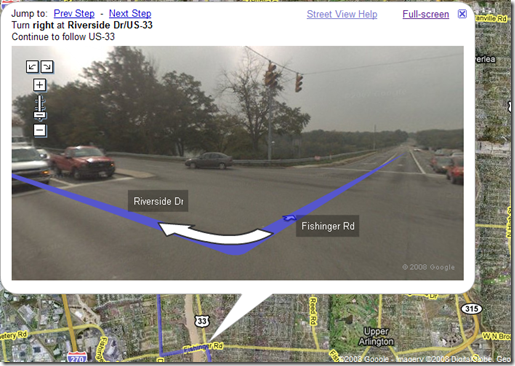 I was checking out Google Maps recently and noticed a camera icon next to the turn by turn instruction. 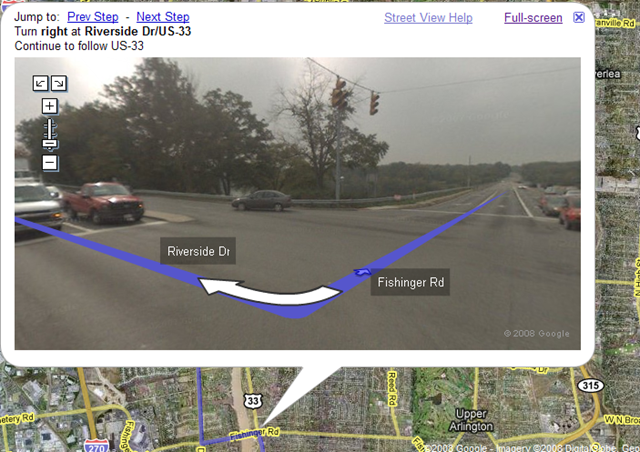 When I clicked this image I was presented with a photo of the junction with zoom and pan features. This is some kind of ambition! I am really trying to get my head around the scale of the data gathering project! It is one thing to have a satellite take pictures of the earth. It is quite another to have someone drive around the city and take photos. The fact that I can see photos of almost all the main street corners in this fair city is just information overload!